The perfect jacket with a sparkling twist - the letters SHINE! Metallic letters add a wonderful touch to these jackets! Seal will replace the Crest on these jackets. *White jackets will have metallic white letters and royal blue backgrounds, OR white letters and metallic blue backgrounds. Please specify. * Khaki jacket run about a size large. Please order accordingly. 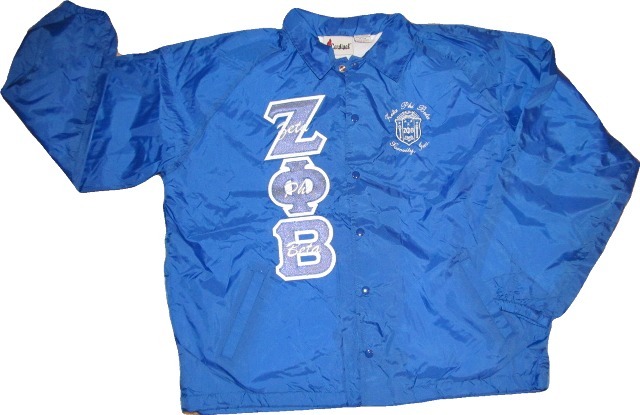 - Jacket shown has Metallic Blue letters and White Letter Backgrounds.